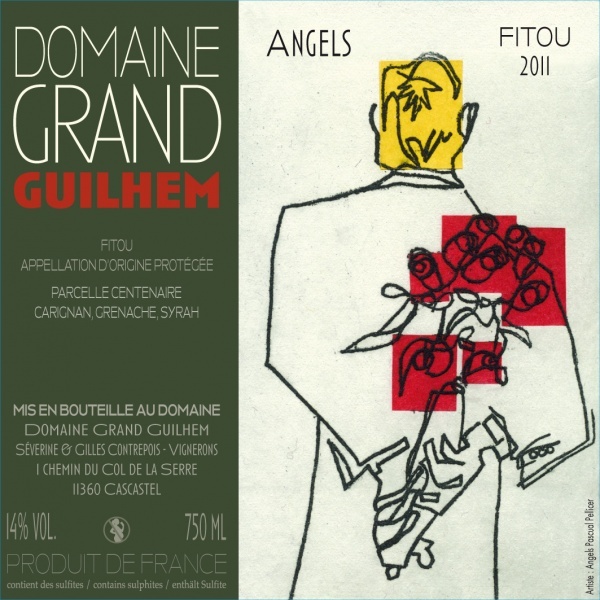 Fitou Angels 2014 : 92/100 ! Purple color, clear and bright, many tears. 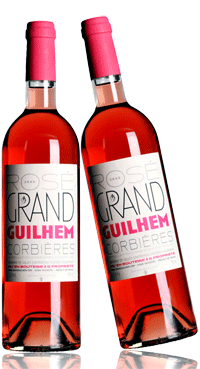 The sound nose suggests a fresh black fruit, the blackcurrant, the cherry flesh, a note of spices, the vanilla; a nose with an extreme youth despite Southern French accents in the background. The clean attack on the palate delivers intense aromas of blackcurrant; the evolution is more structured with a fruity flesh of exceptional purity; a robust wine, a tannic structure nedding to melt. 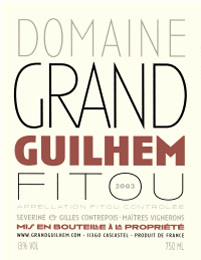 Despite its youthful character, this wine offers some qualities, but restrained, allowing to age. CLASSY, A GREAT POTENTIAL. Average annual temperature : 15°C, 339 days of sunshine each year. Carignan, Grenache Noir and Syrah : the binches are de-stemmed. Pressing with a manual press. Kept in vats for 10 months after the harvest. The finished wine has no stabilizers or preservatives. Good balance, tanins present, carressing and mellow. 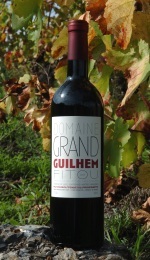 16°C à 18°C ; do not hesitate to decant this wine one hour before serving. Meat in sauce or roasted, “cassoulet” (traditional dish of either duck, goose, pork or Toulouse sausage cooked in a casserole with white haricot beans), game, cold meats, cheese. 1 Chemin du Col de la Serre, 11360 Cascastel des Corbières. Tel: 00 33 4 68 45 86 67, www.grandguilhem.com.